The Vans Warped Tour, an 18 year old concert tour of varying types of music, came to Sunny South Florida on July 27th at the South Florida Fairgrounds in West Palm Beach. Thousands of music fans came out to see their favorite bands, with music from Punk Rock to Hip-Hop, and even some Electronic Dance music. Nearly 80 bands and musicians came to play for their South Florida fans, on 9 different stages, including the Cruzan Amphitheater. Although a few showers came and went, including one which required all fans to seek cover under the Amphitheater with pelting hail and constant lightning, the Warped Tour fans stayed loyal to their quest to hear their favorite music and stuck it through. What’s unique about the Warped Tour is how, instead of only the fans having a deep love for their favorite artists, the artists show the love back. Many Warped Tour artists, before or after they perform, go out and walk around, talking to their fans, taking pictures, and even signing autographs. Also, because the Warped Tour has such a variety of music, it attracts people of all interests. It is one of the few places where you can have a stage of a Punk Rock band playing with just a few feet away from there is a Hip-Hop artists performing as well, which is why the Warped Tour is so popular among music fans. Rarely can you ever see Punk Rock fans with gauges and nose rings walk alongside rap fans with their shorts hanging low and tattoos on their face, both content with the music that is playing. Whatever you are in to, whether its “moshing” to Hard Rock, or “Fist-raising” to Rap, the Warped Tour has music for everyone. Along with the music however, the Warped Tour is also infamous for being home to a portable shopping mall. In between the 9 stages, you can find dozens upon dozens of stands selling T-shirts, posters, and of course, the much needed bottled water to deal with the July heat. Overall, from the loud and energy-fueling music, to the bipolar South Florida weather, the Vans Warped Tour is the ultimate music festival for South Florida music fanatics. 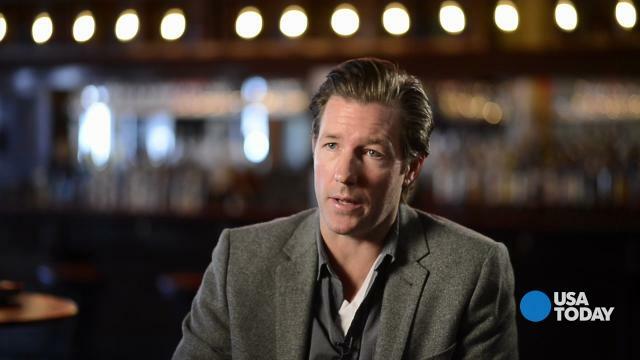 Edward Burns (Saving Private Ryan, She’s the One) specializes in making personal, low-budget movies that at one time would have played in art theaters. Now, he premieres his films online — on Apple’s iTunes, Amazon and cable video-on-demand services. His gear. He uses the same Canon 5D SLR for his kids’ activities — “everything else is on the iPhone.” For video, he shoots only on the iPhone and imports clips and edits them in iMovie on the Mac.